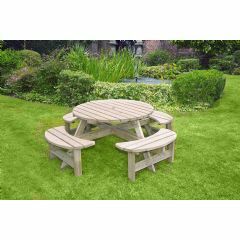 The Circular Picnic Table With Seat Backs from Forest has an attractive rounded design, which differs from the traditional picnic table look. 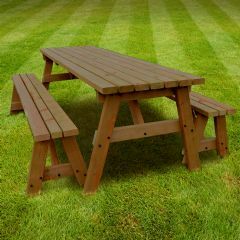 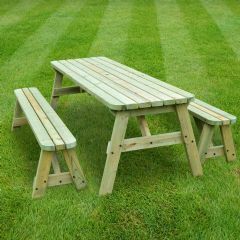 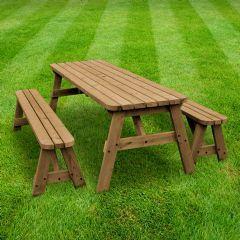 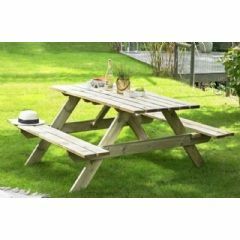 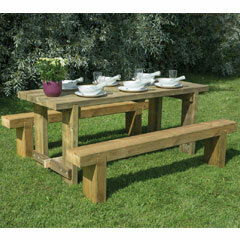 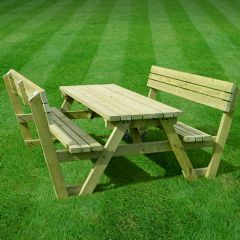 The table can comfortably seat 8 people, making it perfect for hosting a barbeque or garden party. 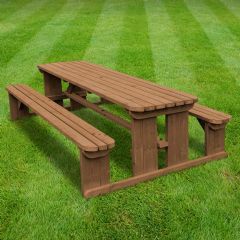 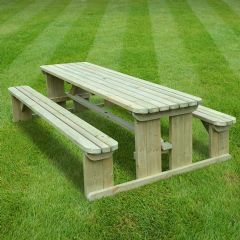 For a superior build, the picnic table has been manufactured from pressure treated timber, which comes with a 15-year guarantee against rot and fungal decay. 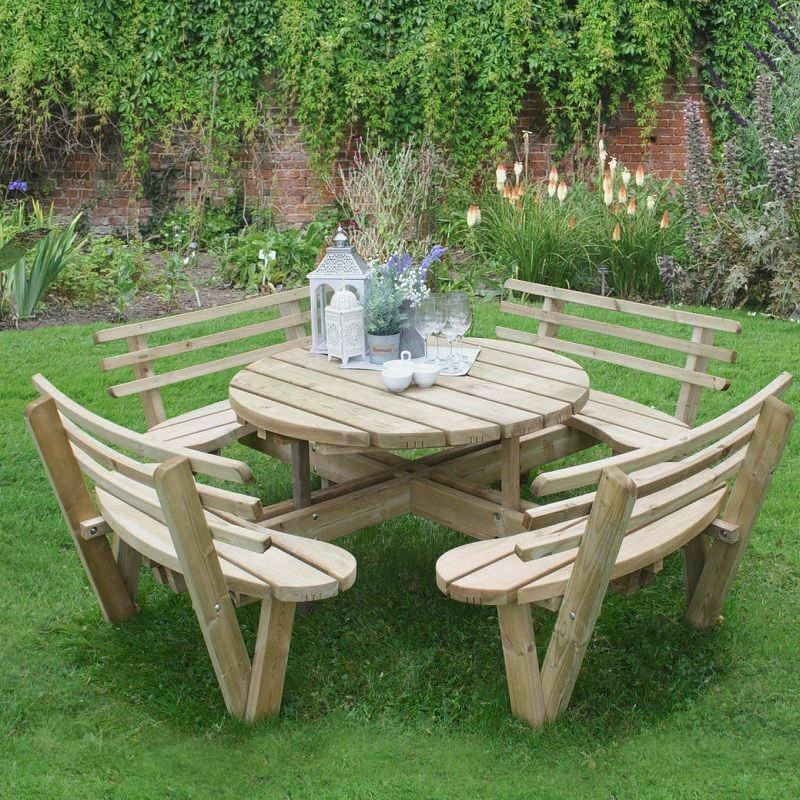 The table features a hole in the middle to fit a parasol if needed during particularly sunny days.